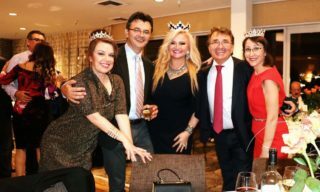 On November 3-rd of this year, on a wonderful autumn sunset night, overlooking panoramic views of the historic Queen Mary, at Hotel Maya – DoubleTree by Hilton, Viitorul Roman Society held it’s Annual Gala Ball. 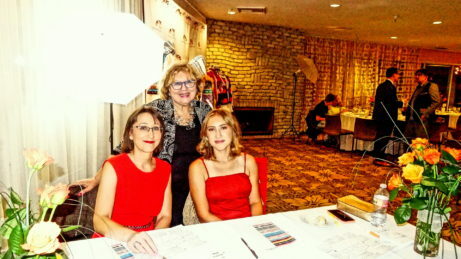 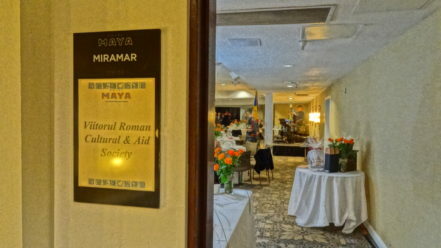 More than one hundred participants, friends, and special guests of the society attended. 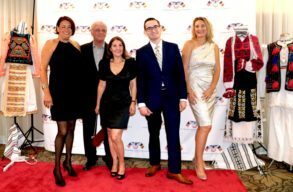 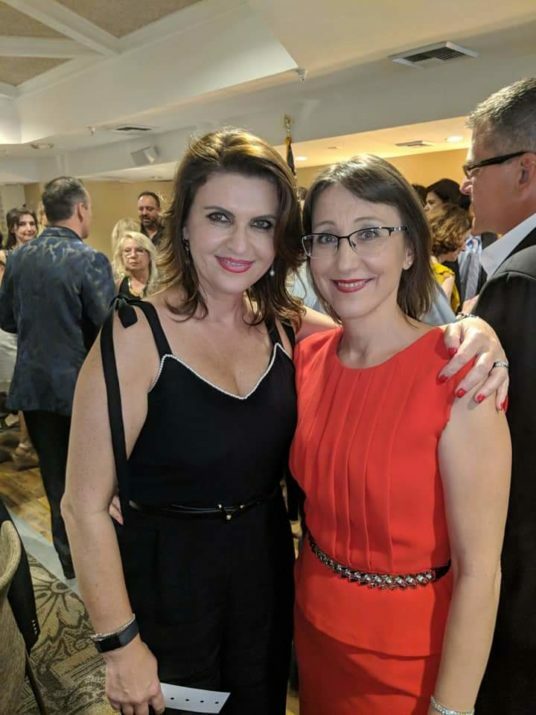 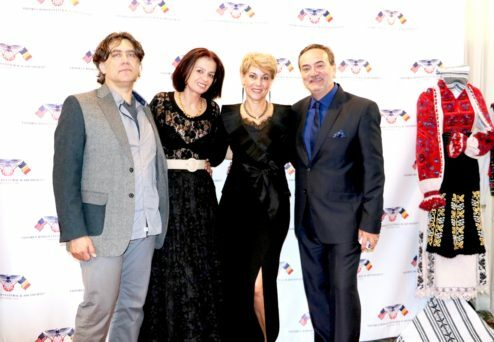 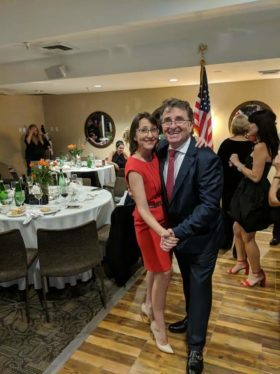 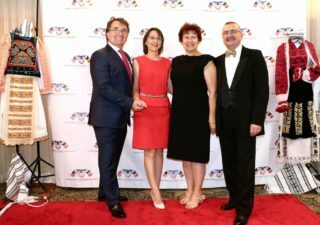 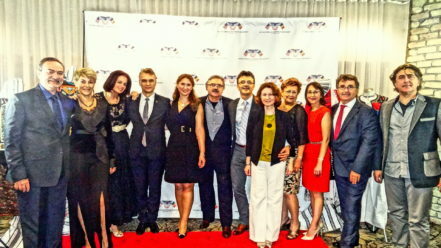 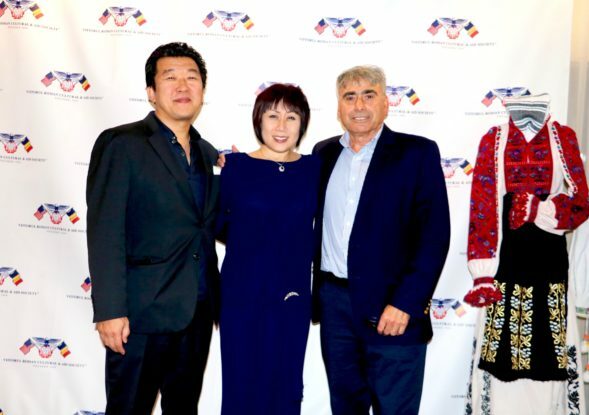 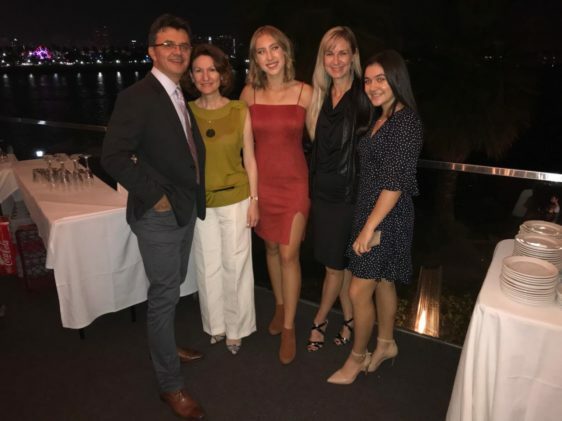 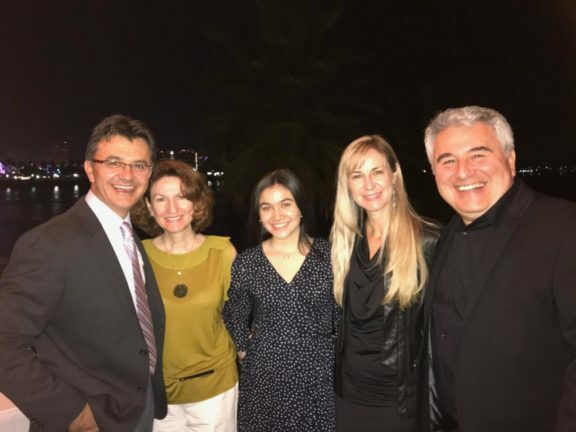 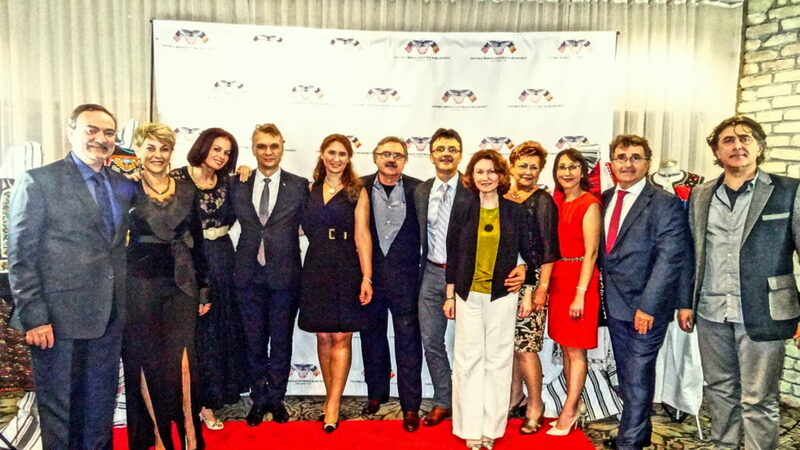 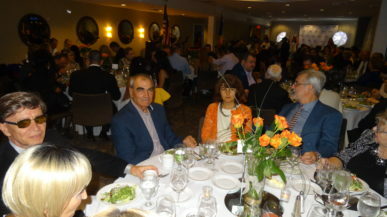 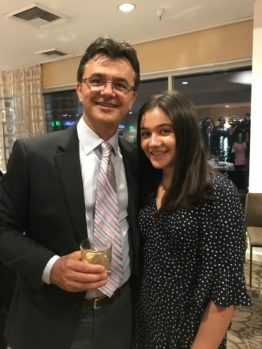 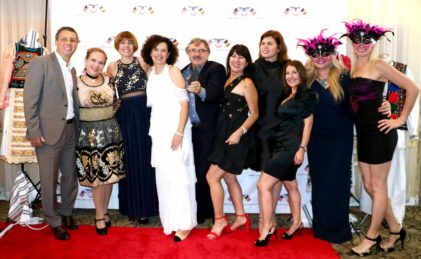 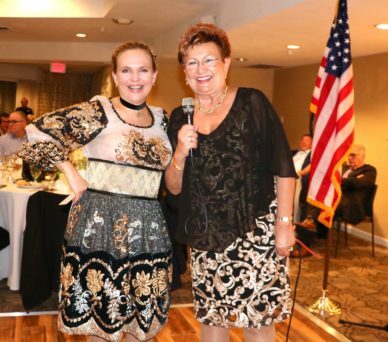 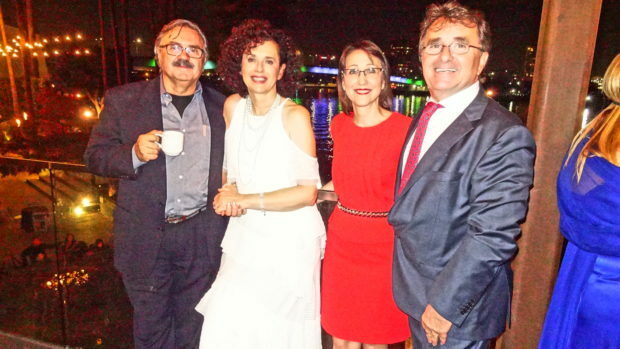 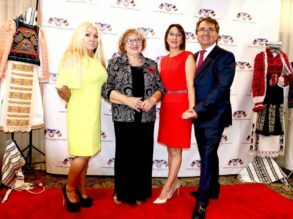 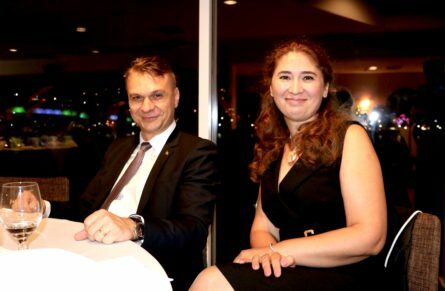 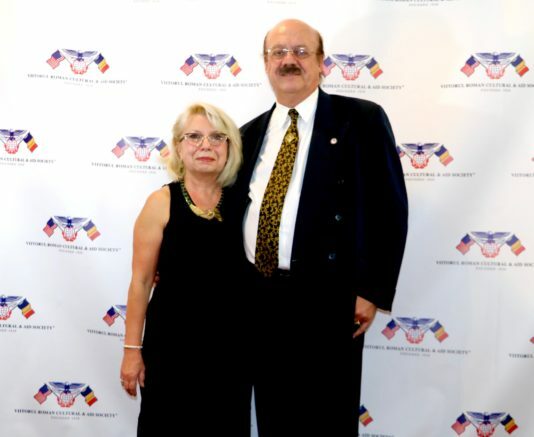 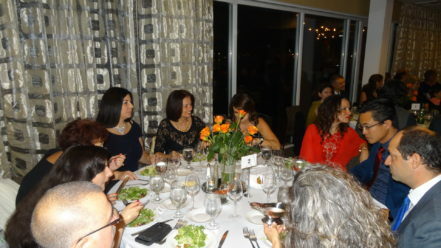 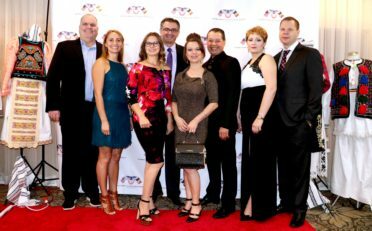 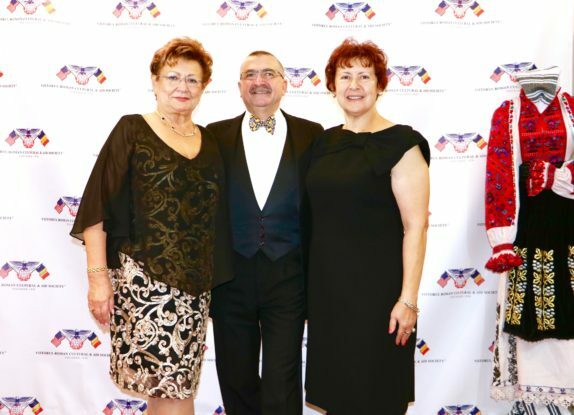 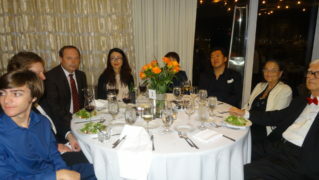 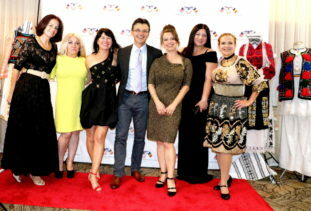 This year the Society had the pleasure and the honor to host several special quests: Mr. Cosmin Dumitrescu, Consul General of Romania in Los Angeles and his wife, Mirela Dumitrescu, Mrs. Stella Cepoi, former President of the Society, arrived from Las Vegas for the gala, and Mrs. and Mr. Oana and Dinu Leonte, member and treasurer of the American Romanian Academy, arrived from San Francisco for the gala. 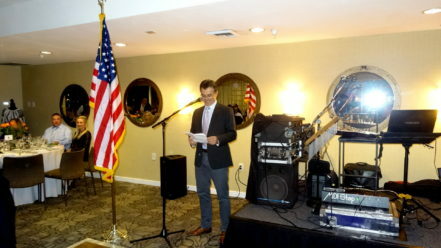 After the initial cocktail hour and excellent background live music by Hugo, the Gala was opened by the Society’s Vice President, Mr. Virgil Adumitroaie, who welcomed the guests and provided a short review of the night’s schedule of fun and entertainment, after which he introduced Mr. Adrian Barbu, the President of the Society. 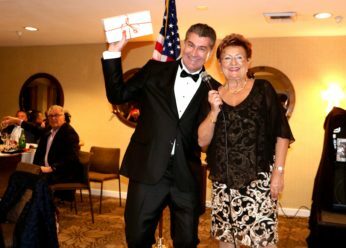 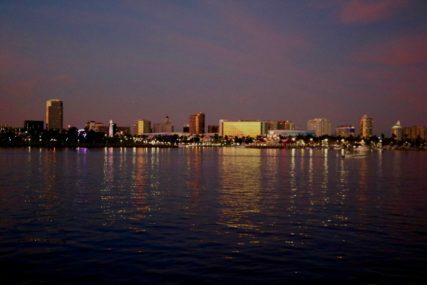 With his typical humor and special energy, Adrian briefly reviewed the history of the society, which approaches 100 years of existence, a long history during which the Gala Ball became a tradition. 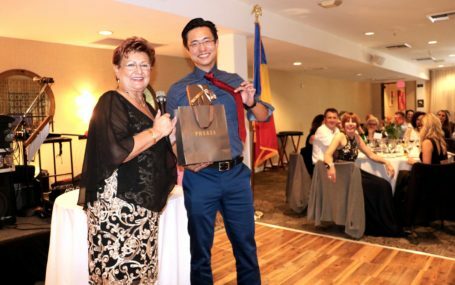 Adrian presented to the audience the members of the society’s board, and then invited to the microphone the Romanian General Consul, Mr. Cosmin Dumitrescu. 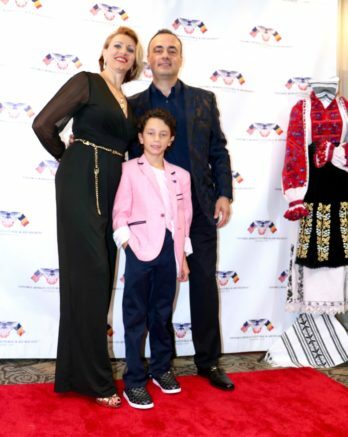 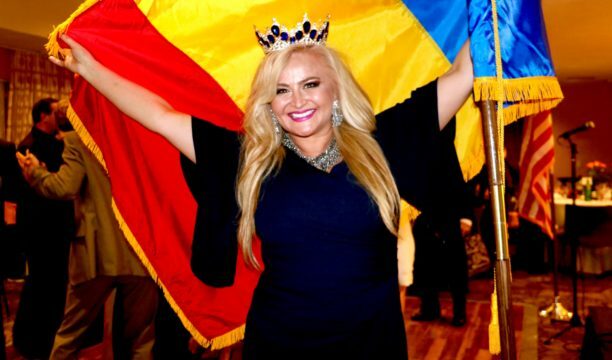 Addressing the audience, Mr. Dumitrescu thanked the Romanian Community for keeping alive the Romanian culture and spirit, and acknowledged the important role played by the Society in strengthening the relationship between Romania and the United States of America. 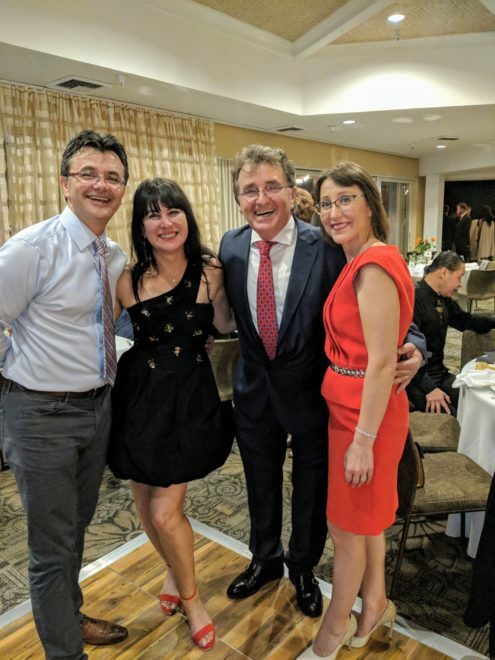 After a delicious dinner menu, expertly chosen by the Society’s board under Ionela Kloes’ guidance, the party started on the dance floor. 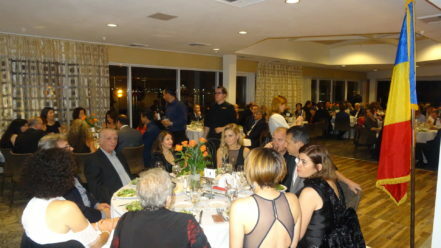 The excellent music selection of this year’s ball generated a beautiful enthusiasm towards the dance floor for all the attendees. 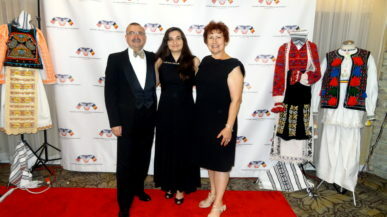 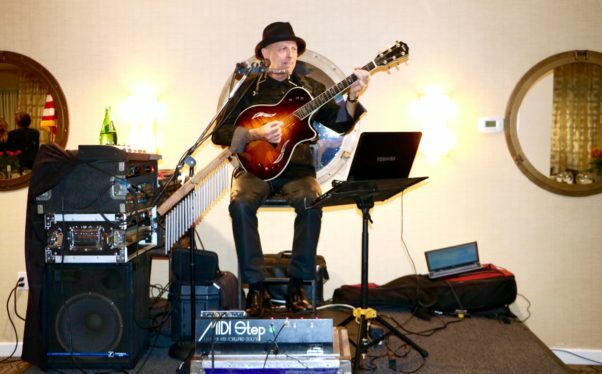 The music alternated between modern dance music performed by Hugo, at his 3-rd year appearance at the society’s Gala Ball and Romanian traditional music. 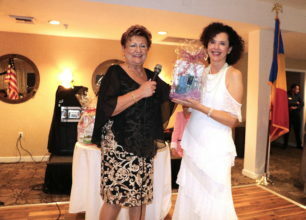 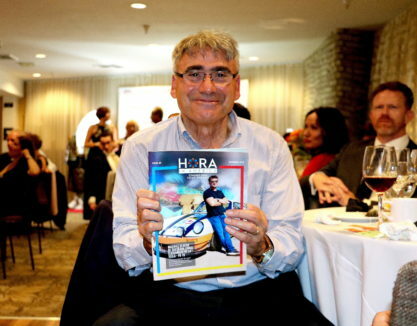 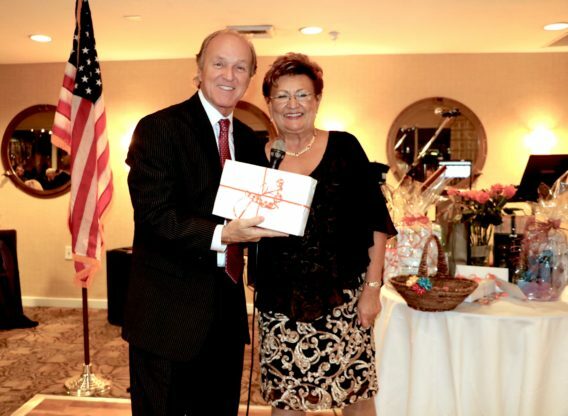 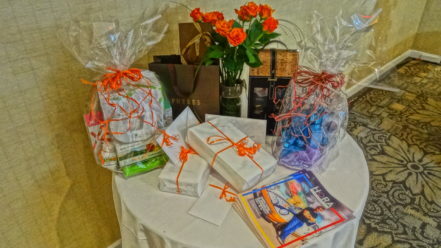 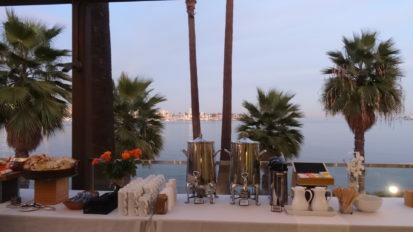 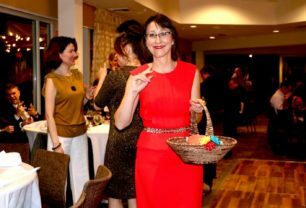 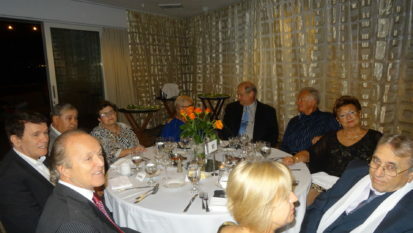 Throughout the evening, the invitees enjoyed the surprise wins of a raffle contest with many fun prizes. 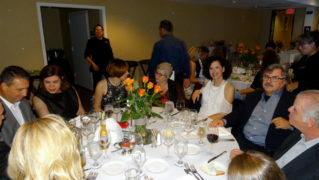 The good times lasted late into the night, and at the end of the scheduled salon engagement, we had to request an extra hour extension from our host for the participants’ enjoyment. 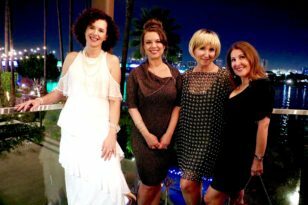 We all left with great anticipation for the next year’s Gala Ball. 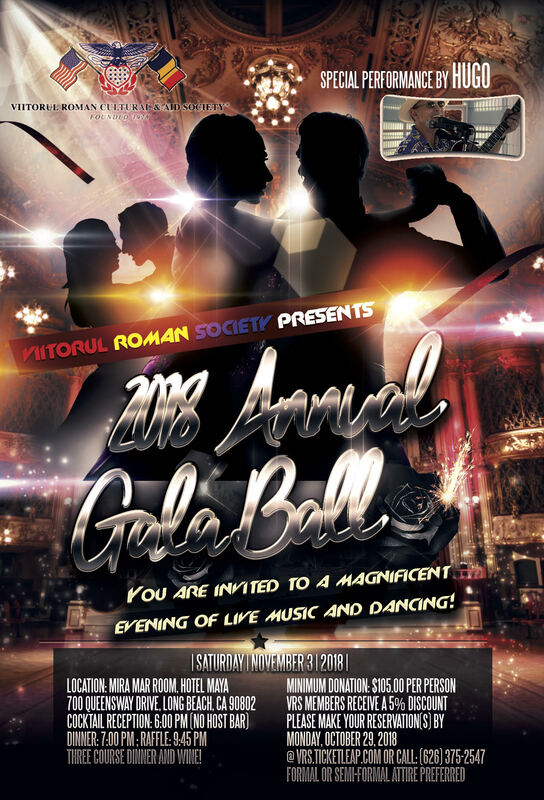 Please join us on Saturday, November 3, 2018 for the Annual Gala Ball organized by Viitorul Roman Society. 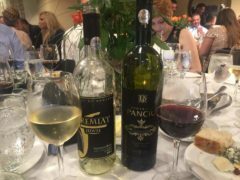 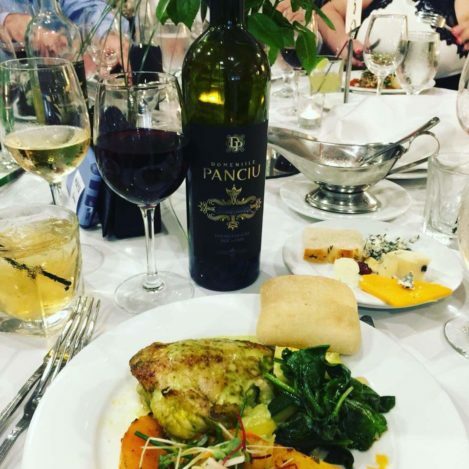 Three course dinner and wine! 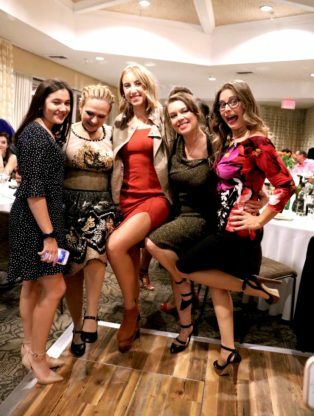 Formal or semi-formal attire preferred. 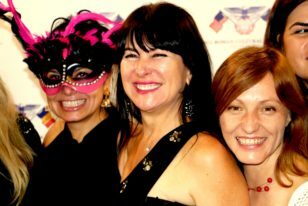 We really hope to see you all on November 3rd, for a truly amazing evening of live music and dancing. 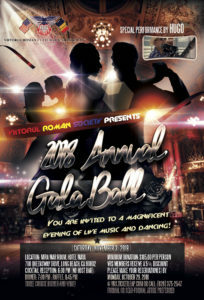 Kindly pass this invitation on to your extended families and friends.